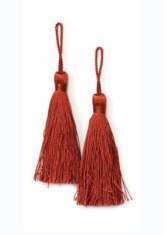 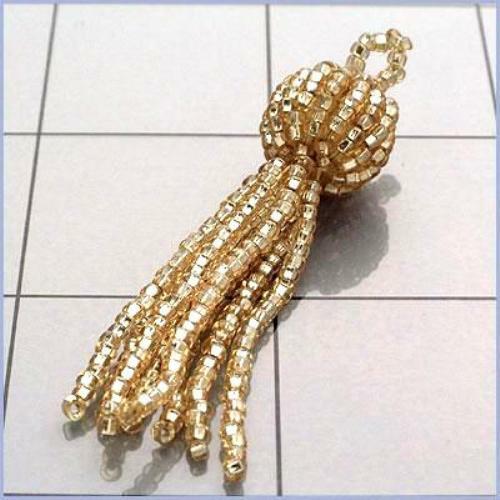 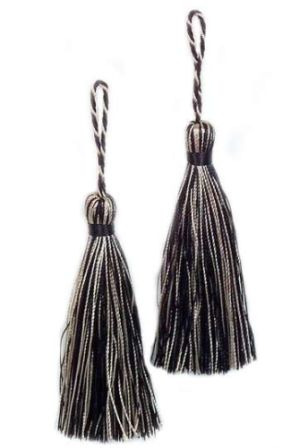 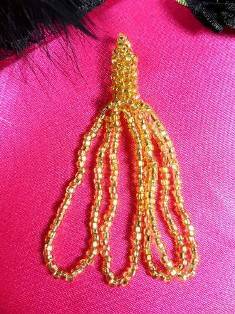 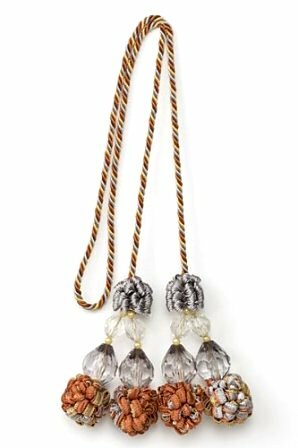 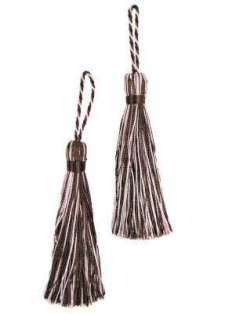 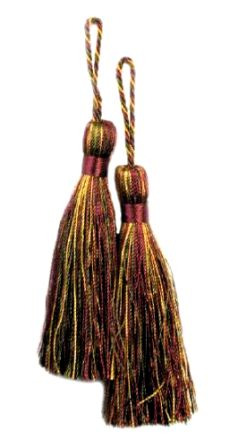 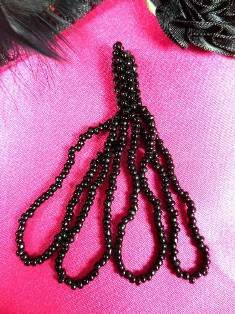 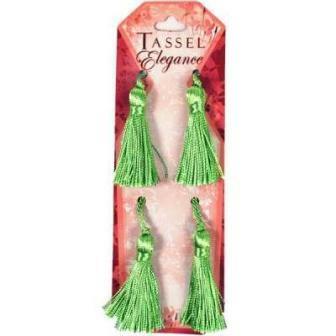 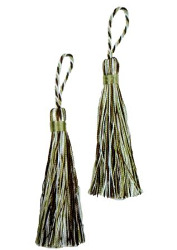 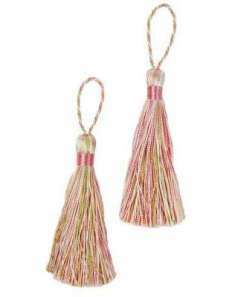 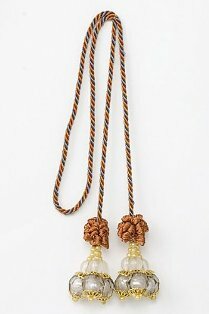 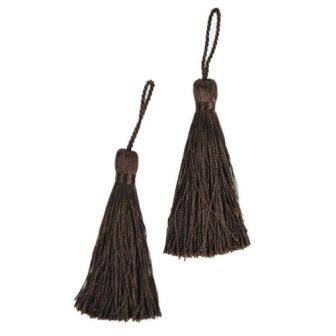 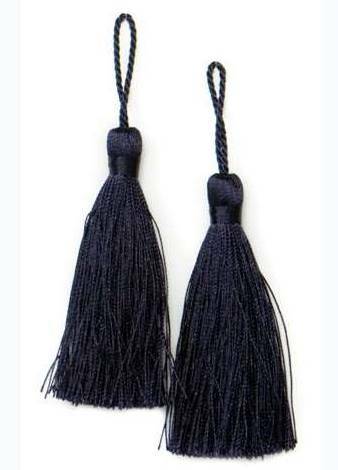 We offer a large selection of tassels in many designs and colors for home decor and fashion accessories. 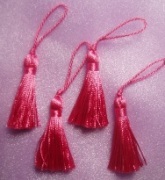 Add tassels to your pillows or use them for curtain tie backs. 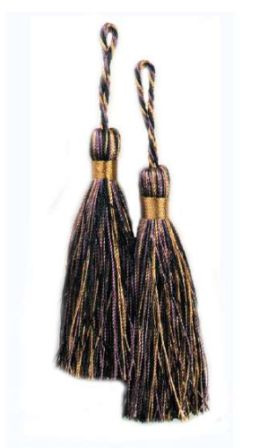 FS3239 Gold Beaded Tassel DIY Home Decor 2"
FS3239 Black Beaded Tassel DIY Home Decor 2"
E5524 Set of Two Brown Sage Ivory Fiber Tassels 3.75"
E5524 Set of Two Brown Plum Black Fiber Tassels 3.75"
E5524 Set of Two Black Multi Tassels 3.75"
E5524 Set of Two Cranberry Gold Sage Fiber Tassels 3.75"
E5524 Set of (2) Eggplant Tassels 3.75"
E5524 Set of Two Dark Brown Tassels 3.75"
E5524 Set of Two Navy BlueTassels 3.75"
FS833B Black Dangle Tassel Beaded Applique 2.5"
FS833B Gold Dangle Tassel Beaded Applique 2.5"
FS833B Silver Dangle Tassel Beaded Applique 2.5"
E5524 Set of Two WineTassels 3.75"
E5524 Set of Brown Pink Tassels 3.75"
E5524 Set of Two Lime Pink & Ivory Tassels 3.75"
E5524 Set of Black and WhiteTassels 3.75"
E5970 Set of ( 4 ) Lime Neon Mini Tassels 2"
E5970 Set of ( 4 ) Fuchsia Mini Tassels 2"